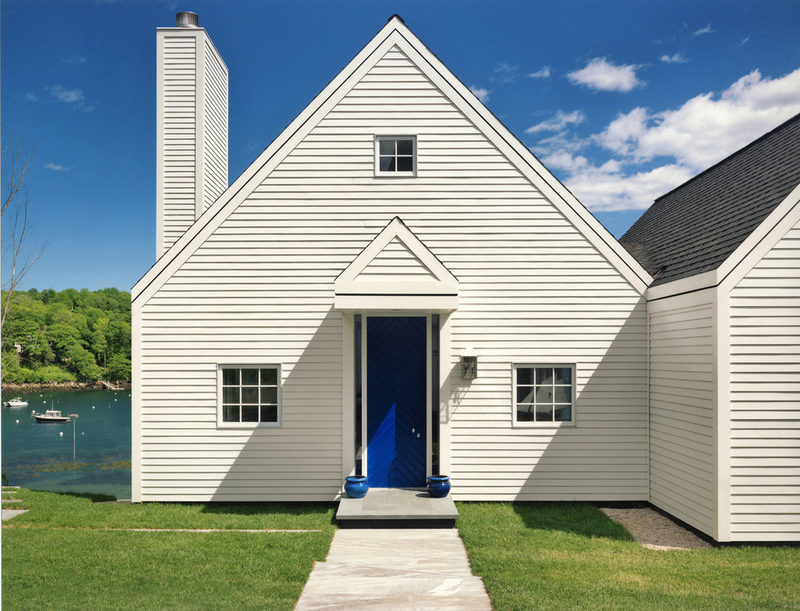 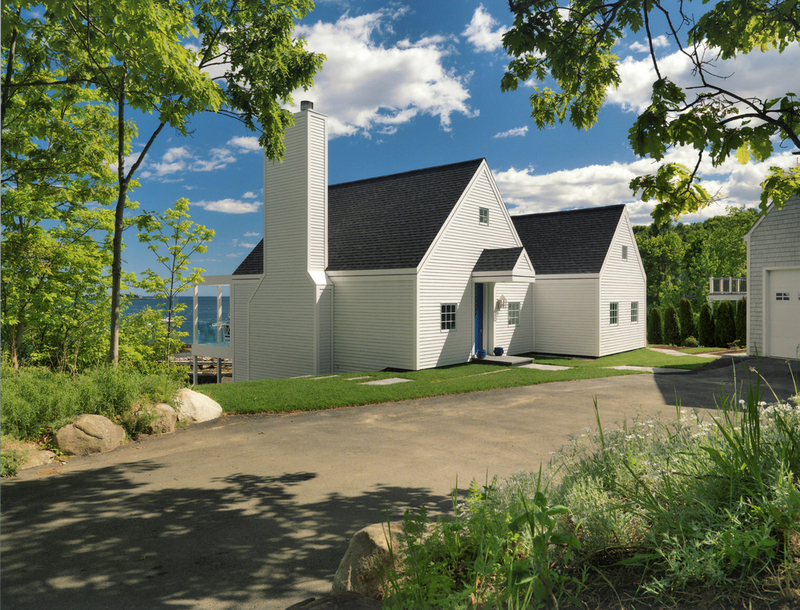 This house stands at the end of a cul-de-sac and is a classic Jacobsen form, just two pristine, side-by-side, two story structures with gable roofs, one volume forward, the other a few feet back. 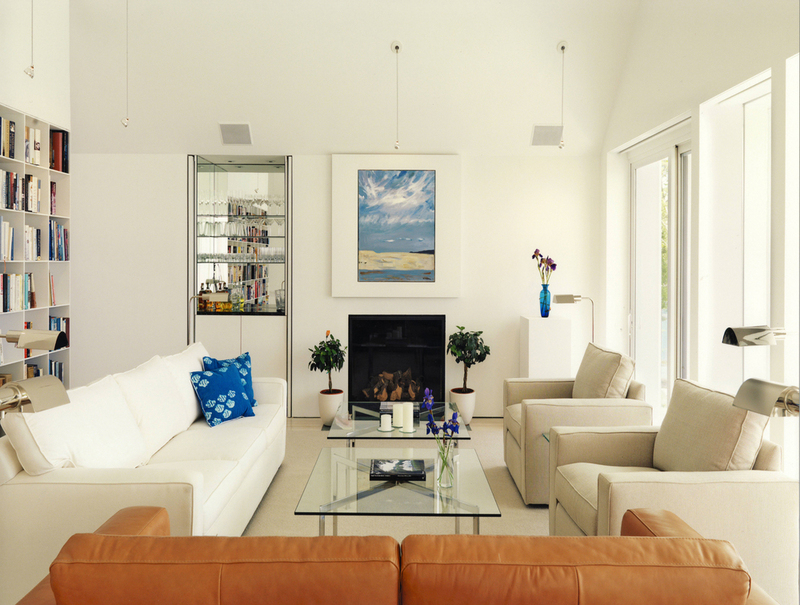 While this project was designed to be quite smaller in scale compared to many Jacobsen Architecture buildings, the feeling of grandeur is revealed in the voluminous living room reaching 20 feet tall at its peak. 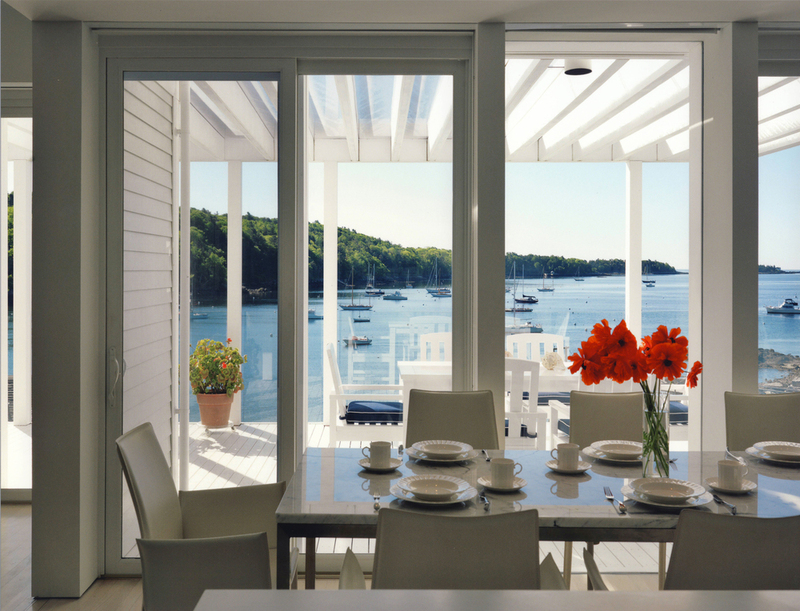 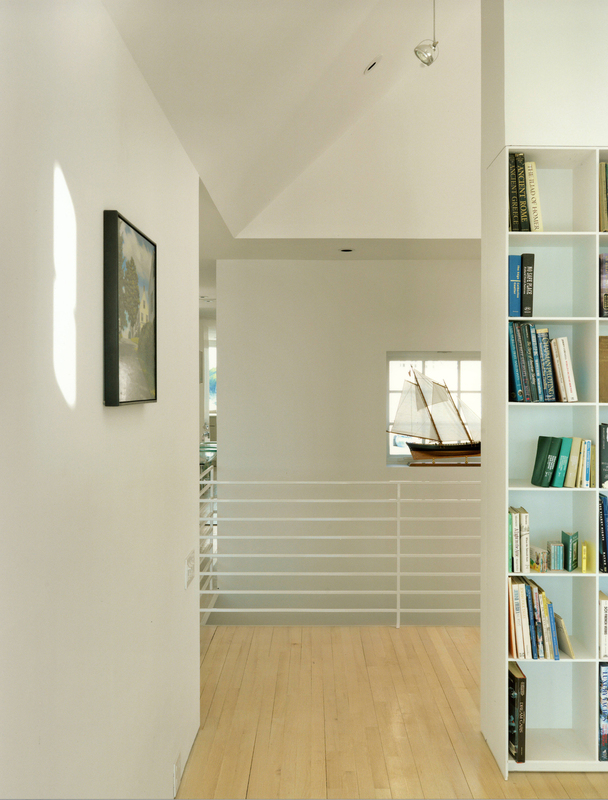 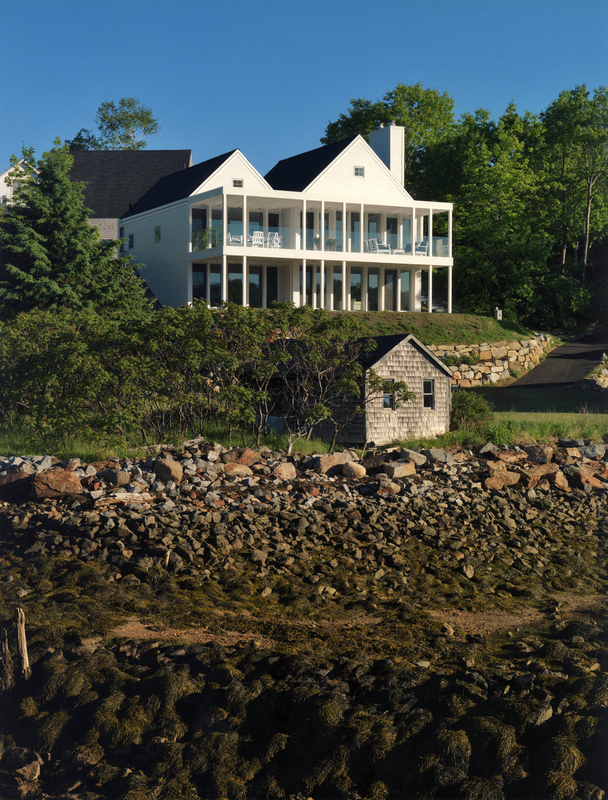 The ceiling is lifted to the height of the gable roof, and the front wall of glass orients the room to a panoramic view of the Maine ocean port.